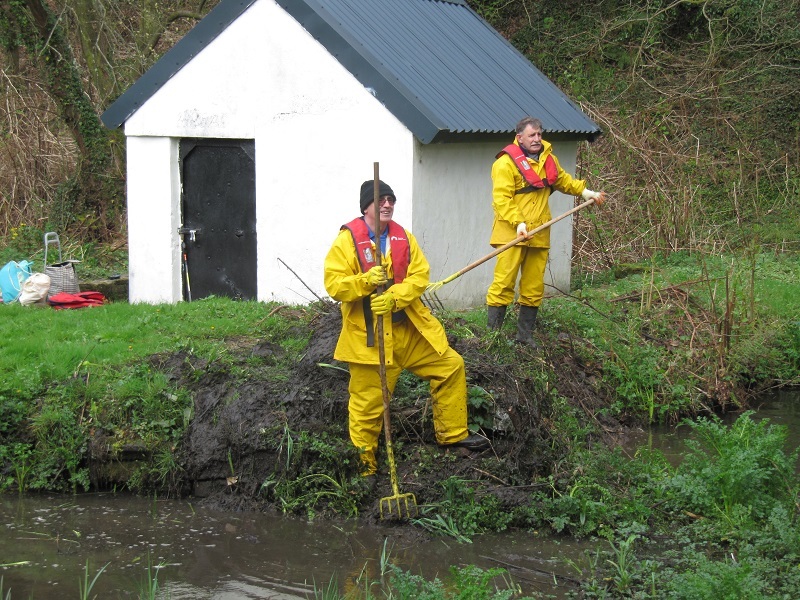 After a long absence due to the work we have had to do on the canoe hire project, we at last travelled north to do work on the neglected Ynysmeudwy Lock area. 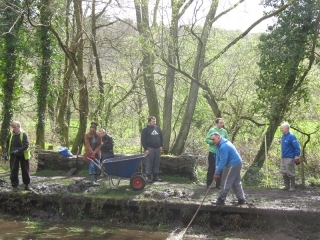 We met up with David Viner, the Glandwr Cymru Heritage Officer, at the Clydach depot and hauled all the necessary equipment up to Ynysmeudwy. 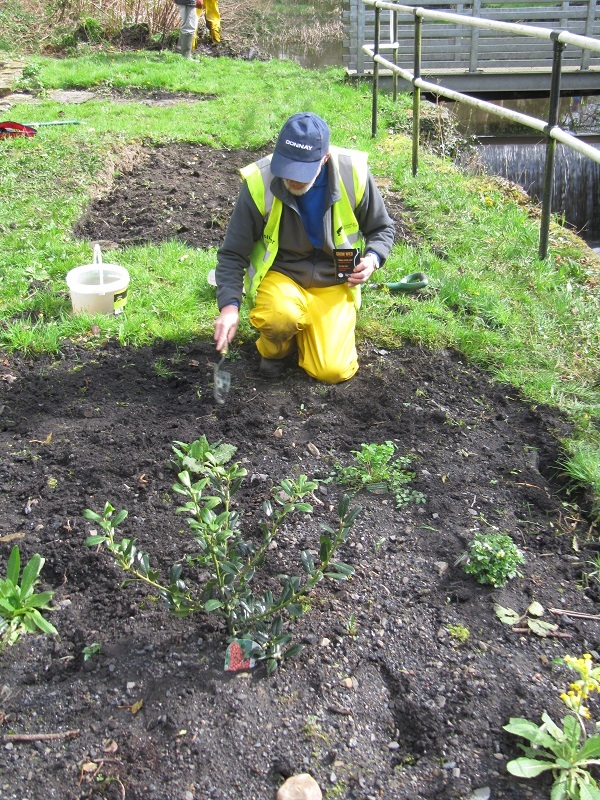 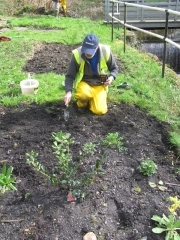 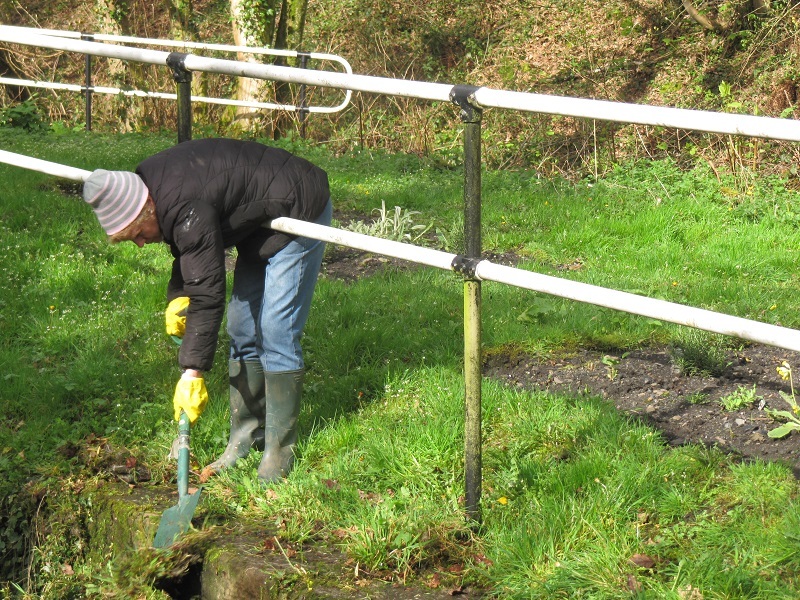 We had sent off for the free Grow Wild native seeds offered by Kew Gardens so were able to add to the seeds we planted on the Lower Ynysmeudwy Lock island in early March. 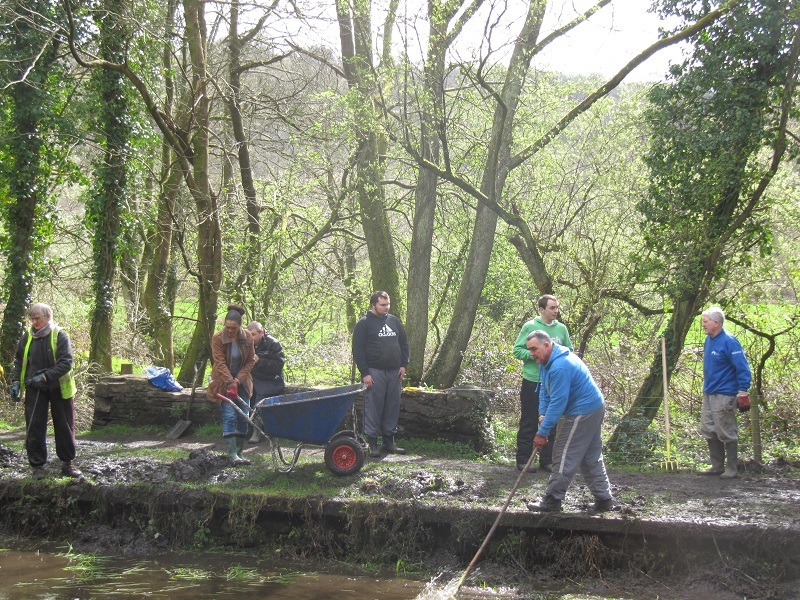 Our friends from the Whitehorns Day Care Centre in Morriston joined us a litle later and were soon busy carting away the silt and mud from the tow path bank. 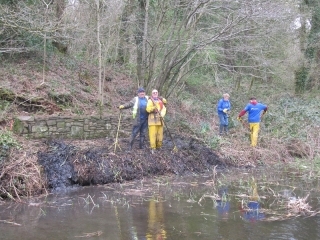 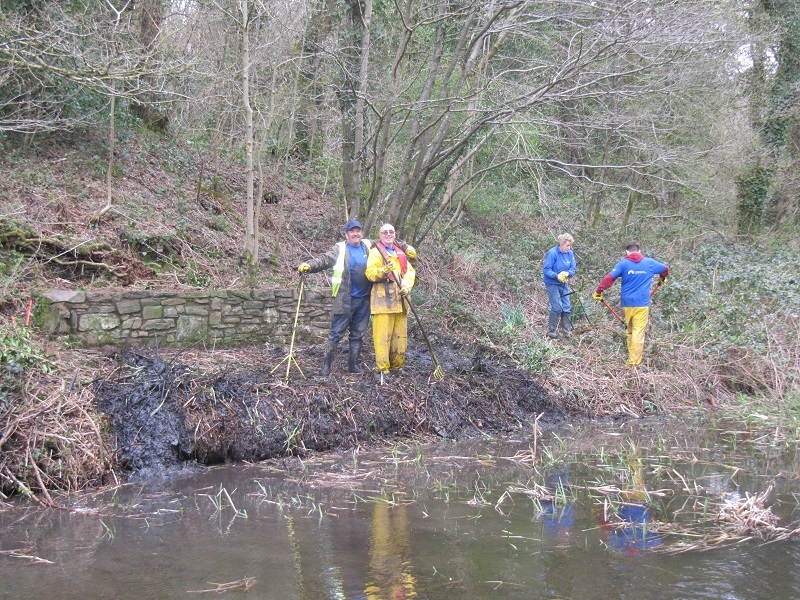 On the off-side, Alan, David, Sam, Gill and Gordon carefully cut back the bramble growing into the canal whilst ensuring that the wildlife habitat was not unduly disturbed. Outside the Lengthman’s hut, Alan and David continued to await rescue by Ernest Shackleton who had left them marooned on polar ice some two months earlier. Gill, of course, continued to do her own thing.